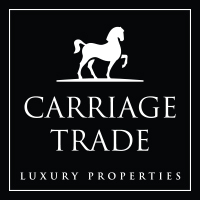 The Carriage Trade brand exemplifies luxury. Our trademark is a symbol of this narrative. It reflects the key attributes of Carriage Trade, whether on a lawn sign or a feature sheet. The image of the horse is powerful, distinctive, timeless and most notably, synonymous with luxury. The red and black colours are simple and powerful, and consistent with the Royal LePage brand colours. 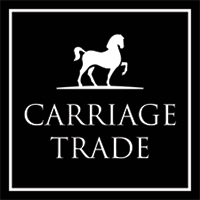 You can download the Carriage Trade logo below. The logo is not to be altered in any way, and none of its individual elements should be altered or omitted for any reason. See the Carriage Trade Identity Guide for full details. The Carriage Trade primary logo is only to be used in cases where the logo is at least 1.5“ wide. The Carriage Trade alternate logo is only to be used in cases where the logo is less than 1.5” wide.